Discussion in 'Whitetail Management' started by loneranger, Nov 3, 2018. Turnips don’t turn to moosh. Radish will kill with hard frosts. Turnips will stay desired later on So - ur all good. Agree. My favorite late season food source. December January let's go hunting, doesn't matter when was hit by frost/freeze. Well you must have different turnips cause after frozen and thawed mine turned to mush. Looked at forecast for s. Iowa and dont see it getting that cold in the next 10 days ! But should get cold enough at night to help convert starches to sugars in the barassicas !!! 19 Friday night sounds pretty cold to me! More like 13 tonight all the way to Kirksville MO ! Just wanted to report in on the turnip and radish use during gun 2 southern iowa. I really could not find much for radishes let in the plots but turnip greens and bulbs were getting pounded ! But i did notice that. Most of the does were traveling to get to some cut and standing bean fields in the area . but the bucks were feeding in the turips until dark ! Some of the leaves had yellowed but lots of green leaves flatend buy the heavy snows but they didnt seem to mind ! We saw 9 different bucks on day one and 7 on day 2 so . i dont feel this falls crazy weather messed things up much !# just my 2 sents worth ! Never did warm that much so turnips held together. Deer kept eating them but not the numbers some of you see. 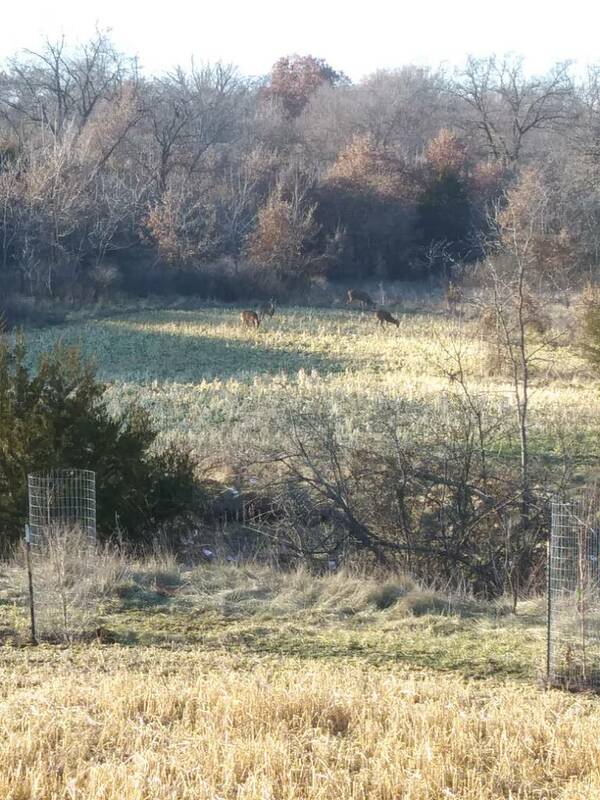 9 bucks out in a field? More like I saw 9 bucks total during my whole Month of November hunting. 65 hours worth. And yes I hunt in Iowa. Could be worse, could be a 40° heat wave as late muzzy opens up. Daver, IowaBowHunter1983 and chipterp like this. Although it got cold enough, early enough to potentially rally mess with brassica plots this year...the key is that once it got cold, it never really warmed up too much. So things didn't rot as they have in other years, the mostly continual cold temps essentially preserved the brassicas, so they were still doing well into mid-December. My main problem on brassicas this year is that it was still so dry when I would normally plant them that I deferred planting dates and even then didn't get as much rain as I would have liked at the outset. So my germination was sub-par this year in most areas, with one good exception where I had a really nice stand. Also, turnips are much more hardy than radishes. Deer seem to strongly prefer the radishes earlier and then go for the turnips later on when they sugar up and the radishes are gone.